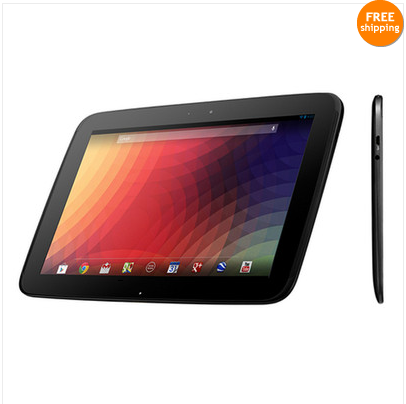 If you've been eyeballin' a Nexus 10 for months but can't swing the $500 price tag for the 32GB version, today's your lucky day. Well, if you don't mind buying a refurbished device, that is. For today only, you can get the 32GB version of Google's 10-inch tablet for $430 with free shipping and zero sales tax (unless you live in WA – sorry guys, you get the standard 9.5% sales tax) from eBay Daily Deals. The device is listed as "Retail boxed. Like new condition. Authorized Samsung refurbished tablet. 90 day warranty." if that helps ease your mind. Of course, if you don't want to spend a dime and are the gambling type, you can always throw your name into the hat to win one from us and avast!. For everyone else, hit the link below to shell out some moneydollars and guarantee you'll score one.